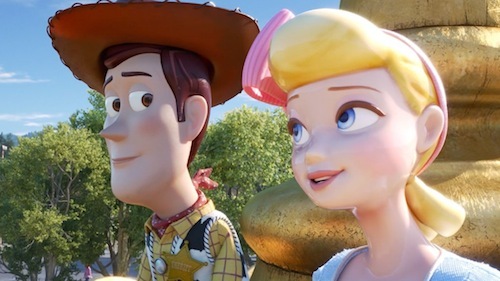 Disney has released a new full-length trailer for Toy Story 4. "Everyone’s favourite pull-string cowboy sheriff Woody, along with his best friends Buzz Lightyear and Jessie, are happy taking care of their kid, Bonnie, until a new toy called “Forky” arrives in her room. According to Forky, a spork-turned-craft-project, he’s not a toy at all—and he’d rather skip this big adventure completely, if only they’d let him." Toy Story 4 features the voices of Tom Hanks, Tim Allen, Annie Potts, Joan Cusack, Wallace Shawn, Michael Keaton, Jodi Benson, Kristen Schaal, John Ratzenberger, Blake Clark, Bonnie Hunt, Jeff Garlin, Timothy Dalton, Estelle Harris, Tony Hale, Keegan-Michael Key, Jordan Peele, Keanu Reeves and Patricia Arquette. Toy Story 4 is in cinemas 21st June 2019.